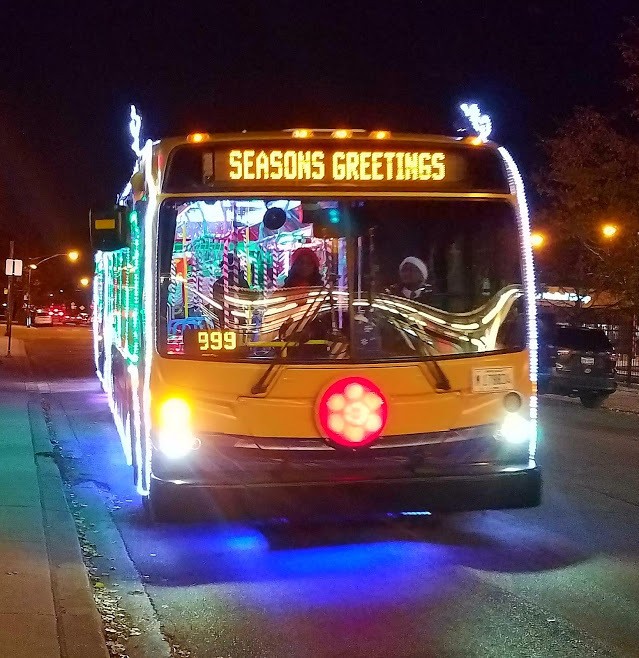 The CTA has announced the schedules for its Holiday Bus and Holiday Train, so time to make your plans if you want to ride with Santa, elves, music, and candy canes. You can see the entire daily schedule here, and on the day of each trip, check the Holiday Bus Tracker. The Holiday Train is already riding the rails around the city, but it doesn't get here until closer to Christmas. Red Line & Purple Line — Saturday, December 15. There will be photo availability.